I'm sure you'll enjoy it Sue & you don't have long to wait. I was lucky that we had the eBook at the library so I didn't have to wait for the physical copy. 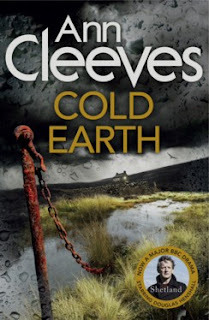 Hi there, I just finished Cold Earth this past weekend and I do love the Shetland series. I have to admit that while I love the books, this was not one of my favourites. There seemed to be alot of loose ends and I thought there were some inconsistencies in the novel. I may have read it so quickly that I misread something - but I was sure that the clerk in Brae had definitely said that it was not Tom Rogerson in the car when Alis was picked up. But later in the novel, it says that he did identify Tom Rogerson. I also thought that some of the detective work was sloppy with not getting phone records etc. And no one noticing that the house was being used for prostitution. There is more that I could say, but I generally got the impression that the novel was not as well thought out as the others. With regards to the loose ends, maybe that is providing the set up for the last novel in the quartet. Regardless, I will be still reading about Jimmy Perez and planning a trip to Shetland. I was reading so fast that I didn't pick up on any of those anomalies, Alicia! 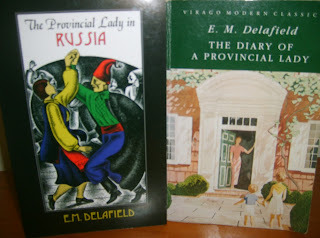 I thought the atmosphere & the plot were up to the standard of the previous novels but, as you say, there could have been some setting up for the next book in the series.